This photo has nothing to do with me but I just happened to run across it online for sale just now and couldn’t help myself from posting it. I know I can’t save every bit of history but this one has a name on it that may lead to a connection. I put a larger version here for downloading. 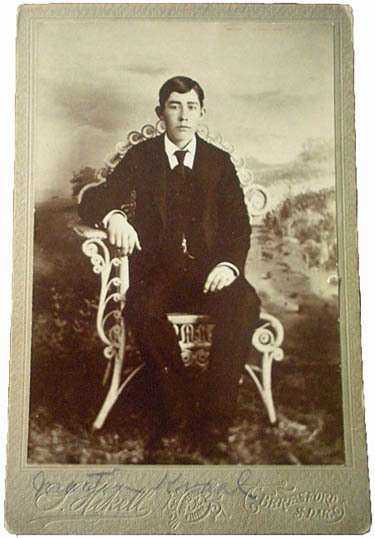 Vintage cabinet card from South Dakota. Name written in pencil is Martin Kraal. I suppose the name could be Martin Kural. Hard to tell. Date is unknown but probably 1900-1909s. I noticed in the ancestry database a 1913 border crossing record at Buffalo for Martinios Kraal.